This innovative, kid-friendly book offers 50 carefully selected yoga poses, using clear, easy-to-follow, color photographs, paired with special activities that stimulate a child's verbal, spatial, and artistic skills. This innovative, kid-friendly book offers 50 carefully selected yoga poses, using clear, easy-to-follow, color photographs, paired with special activities that stimulate a child's verbal, spatial, and artistic skills. It includes special yoga routines for calming down, getting ready for a test, riding in a car, and even a section for children with special needs. A terrific educational and emotional aid for parents, teachers, and caregivers, too. Marsha Wenig is the founder of YogaKids International, Inc., the original and leading provider of yoga for children. 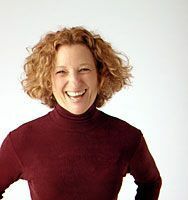 She has spent most of the past two decades studying, teaching and working with children in yoga: refining and expanding her proprietary methods of yoga education for children. Her unique approach combines yoga, play and warmth in ways that delight children of all ages. She started the business in her family’s recreation room in La Porte, Indiana in 1998 and expanded to the local Montessori school. Today, YogaKids is known around the world and is available in 23 countries and the U.S. Marsha has delighted millions of children with yoga, as their bodies grow stronger, their joy soars and their confidence is engaged.